This is the most convenient converter helping you to convert AVI to DivX and other 300+ formats in a short time. However, it is not only a converter, but also contains functions of editing, compressing video files and presetting various parameters of your video files. 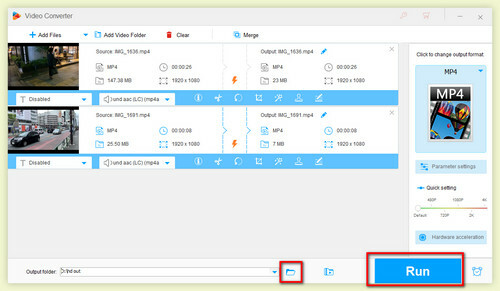 An Convenient and simple video converter to help you change your AVI files to DivX at a fast speed and with a high compression rate - A Converter helping you transfer AVI to DivX conveniently and fast. Comprehensively understood, AVI is a format that acts as a container to store 4 kinds of video codecs and the same number of audio codecs which are MPEG4, DivX, XVID, H264 and AAC, AC3, MP3 and amr-nb. However, in reality, there are only several codecs in one AVI file. For example, some AVI files just contain H264 or MPEG4 and so, it is not allowed to be played on a DivX authorized player. And now, an AVI DivX converter might come to be your best choice, that is HD Video Converter Factory Pro, a cheap and highly efficient software helping you finish video conversion within just 3 steps and play any AVI file on Divx player as you wish. It fully supports NVIDIA® NVENC, CUDA, and Intel® HD Graphics hardware acceleration tech and achieve up to 50X faster video conversion speed as a real time saver. Besides, you can also download YouTube Videos or videos from other similar websites and make wonderful ringtones for your smart phone with this multi-functional software. Before the conversion, you need to free download HD Video Converter Factory Pro first and Convert Your Video to Whatever Formats You Want. After you click the icon of HD Pro a simple and intuitive interface will immediately emerge. 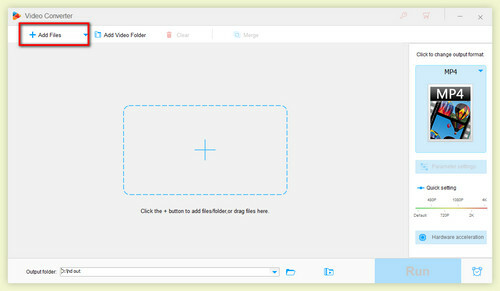 Find and click the Add Files button on the left top to choose the folder that contains your video file and then import the video you want ( You can also directly drag a video from a folder or desktop to the interface as well). Hint: Batch conversion (up to 10) is supported. Go to the right side of the interface then you will see " Output Format". Click below it and you will see a list of various formats and encoders. In the video section, click DivX profile. Find the button Run on the lower right side. Click it and wait for several seconds before the conversion is done. As we can see, all kinds of video converters with uneven quality pervade the market in recent years. Most of them, normally, do not have a satisfying performance usually because of their low conversion speed and compression rate, huge quality loss in the course of transfer and the limited number of formats to choose. But that's exactly where HD Video Converter Factory Pro makes a difference. Due to the newest cpu-gpu acceleration technique, HD Video Converter Factory Pro achieves a dreamy 50X faster conversion speed which means a 10G video conversion can be completed within only a few minutes and saves quite a lot time of its users. The powerful ability of compression is also a spotlight of this amazing software for more than 50% of the original size (audio compression is also supported) can be reduced with high quality preserved. Meanwhile, more than 300 formats and digital devices are supported including the newest ones nowadays from H265, VP9 to iPhone8/8 Plus and Sony PS4PRO. It is more than an AVI to DivX converter but also a video editor software. Just as I have mentioned before, the parameters of your video setting can be changed freely at your own will. 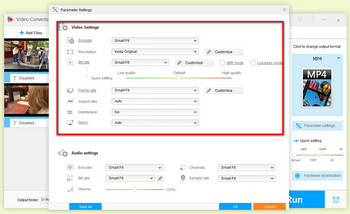 You can click the button of Settings and preset frame rate, boost bit rate, change encoder and increase resolution or just drag the progress bar from Auto Fit to 4K resolution to improve video quality.Cropping, clipping and adding special effect can also be found at the right lower bottom of your chosen video. 50X faster conversion AVI to DivX or another 300+ formats. High compression rate to reduce more than 50% video size. Enhance your video by changing bit rate, resolution and frame rate. It also acts as a video player compatible with various video formats and encoders. An amazing video editor lets you customize your own video freely.